$181 BILLION Power Move Is Trump’s BIGGEST Yet…Democrats Go INSANE! The controversy that continues to swirl about Michael Flynn’s resignation is drawing attention away from other developments in the Trump White House. Of course, that’s exactly why the media and other opponents of the president are hyping the situation. One of Donald Trump’s most consistent promises on the campaign trail was to slash regulations. Many Republicans campaign on similar promises, and say all the right things about how too many regulations stifle growth and innovation. However, Trump seems more determined than most of them to keep his word. 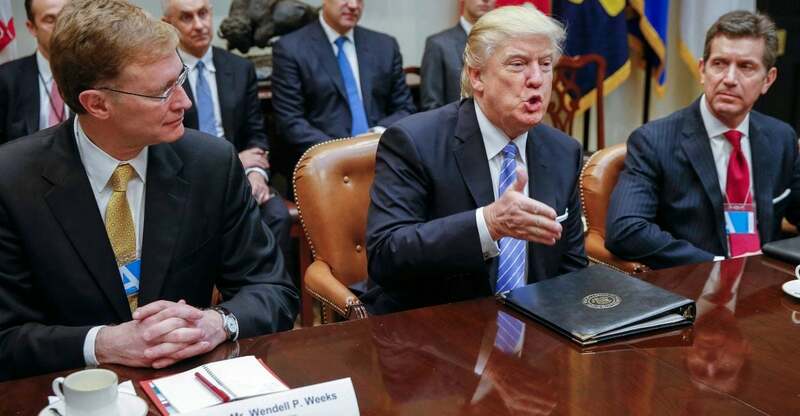 President Donald Trump has embarked on the largest regulatory rollback effort since the Reagan-era, delaying or withdrawing hundreds of rules and working with Congress to repeal dozens more. The Trump administration withdrew 24 economically significant rules –those costing more than $100 million — in his first week, and delayed the publication of about 250 more regulations with an an executive order to halt the publication of “midnight” regulations pushed by President Barack Obama. All told, Trump’s put a hold on $181 billion worth of new regulations, according to data compiled by the right-leaning American Action Forum (AAF). That includes 22 costing more than $100 million and 16 measures costing more than $1 billion in the long-run. Obama idiotically rammed through over $150 billion worth of so-called “midnight” regulations during his final days in office. He had to know Trump would begin overturning these the minute he moved into the White House. They will be nothing more than speed bumps on the road. However, there are literally decades’ worth of unnecessary regulations to examine and nullify. One problem is that many of them came into being due the intense lobbying by special interest groups with deep pockets. They will all be up in arms about these rollbacks, and Trump’s administration will have to cope with this blowback, which will involve the usual scare tactics and junk science. However, the American people have spoken, and so have U.S. businesses. The surge in the stock market reflects, at least in part, the business community’s confidence that Trump will keep his pledge to slash all this red tape.